A military training zone Thursday in the Golan Heights, which Israel captured from Syria in the 1967 war. 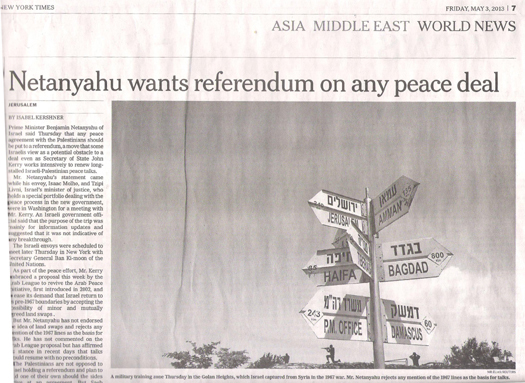 Mr. Netanyahu rejects any mention of the 1967 lines as the basis for talks. 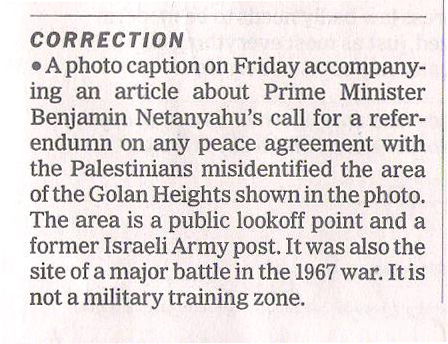 For more corrections that CAMERA elicited at the International Herald Tribune, which is published by the New York Times, see here.